The Safety and Justice Challenge is providing support to local leaders from across the country who are working to safely reduce overincarceration in jails, more effectively use taxpayer resources and protect public safety. Thirty-four counties, four cities and two states were selected through a competitive process to receive financial and technical support in their efforts to rethink justice systems and implement data-driven strategies to safely reduce jail populations. These efforts are part of an initial five-year, $100-million investment by the John D. and Catherine T. MacArthur Foundation. County officials are critical stakeholders in efforts to improve local justice systems as counties run 91 percent of jails with nearly 11 million people admitted every year. Counties invest close to $80 billion annually in the criminal justice system, including $33 billion in county law enforcement activities, $19 billion in courts and legal services and $26 billion in correctional facilities. The county justice system is also part of a larger community context that interacts with justice-involved individuals. Health care centers, hospitals, emergency rooms, behavioral health providers, schools and community colleges and housing assistance are examples of the community-based resources accessed by individuals prior to, during or after their justice system involvement—counties invest more than $140 billion annually in these types of health and human services. NACo is a strategic ally in the Safety and Justice Challenge, providing county leaders across the country with information about successes and lessons learned through Challenge efforts and supporting these leaders through learning opportunities such as webinars, publications, a monthly newsletter, connections to experts, conferences and peer-to-peer exchanges. 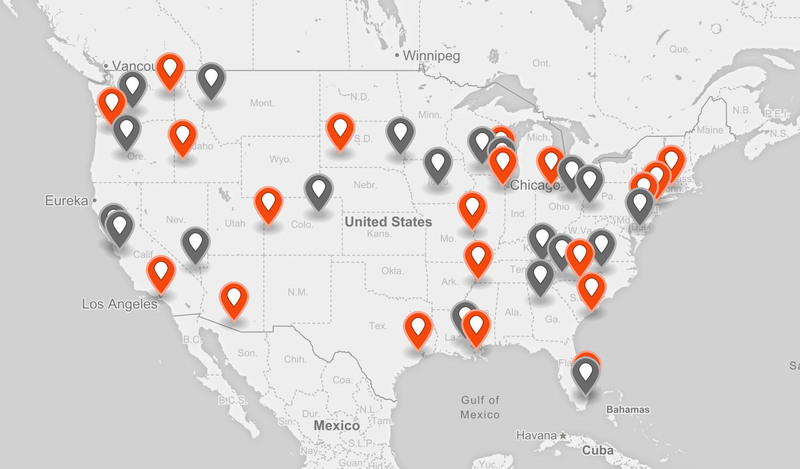 Within the Challenge Network, 18 Implementation Sites are receiving substantial funding and expert technical assistance to implement ambitious reforms to make their local justice systems fairer and more effective. The 20 selected Innovation Sites are receiving short-term support to design and test a single innovative reform program or project. The Challenge Network sites represent 34 counties, four cities, and two state-wide systems. They are geographically distributed throughout the country and have a diverse jail capacity size, ranging from 140 beds in Campbell County, Tenn., to as many as 21,811 beds in Los Angeles County, Calif. Collectively, the Challenge Network holds a jail capacity of approximately 130,000 and accounts for 16 percent of the total confined jail population. To learn more about the work in any of the sites, click here. City and County of San Francisco, Calif. The Safety and Justice Challenge network today grew to 52 jurisdictions across the country working to safely reduce over-incarceration, protect public safety and effectively use resources. Information sharing across behavioral health and criminal justice systems is critical to reducing the number of people with mental and substance use disorders in jails. On August 20-22, the National Association of Pretrial Services Agencies (NAPSA) held its 2018 Conference in Fort Worth, Texas. The conference provided networking, education and collaboration opportunities for pretrial professionals from across the country.